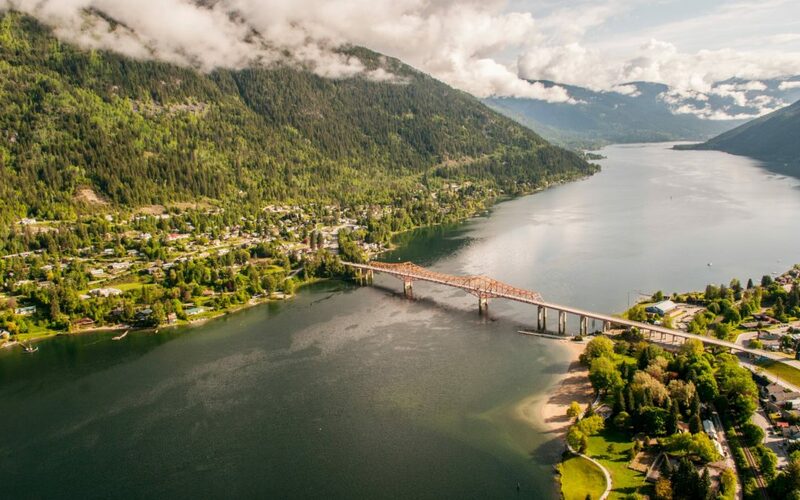 The Kootenay Lake area offers some of the finest multi-day cycling tours in Canada, but it also features some tempting half-day rides. 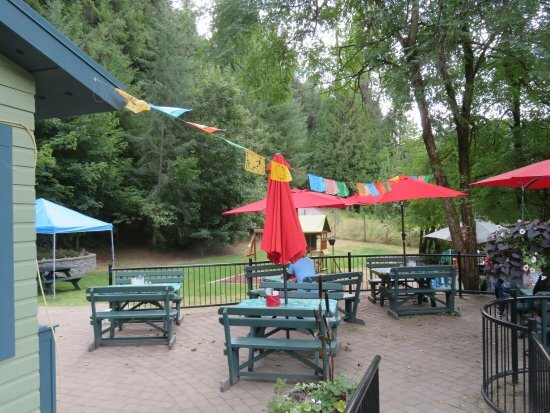 A little known gem connects Nelson BC with one of the tastiest cafés in the Kootenays. The 50km out and back has everything you want in a good bicycle day trip. The route follows Granite Road just west of Nelson, climbing steadily to the small community of Blewett. 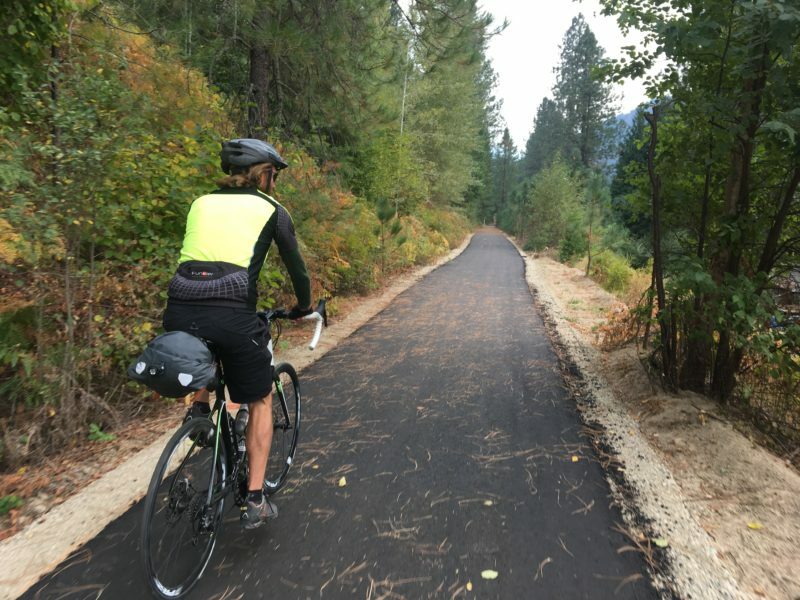 Hang a left at Blewett Road and continue uphill before descending to the Kootenay River and joining the southern end of the Slocan Valley Rail Trail. This section of the trail was paved in 2017 all the way to Frog Peak Café, and a brand new tunnel will be open for 2018. Nestled at the southern end of the beautiful Slocan Valley, Frog Peak Café deserves to be on any foodies list. The quirky breaky/brunch/lunch spot serves up consistently delicious meals using fresh local ingredients. The sprawling garden patio is abuzz with customers, while indoors, the playful interior invites you to linger. But it’s the food that really keeps people coming back. My fave is the Godfather eggs benny. Served with capicola, roasted red peppers, avocado and fried onions, every bite is a treat. Up for a more lunch-like meal? Try the Sushi Bowl. Smoked salmon, teriyaki tofu, greens, avocado, tahini dressing and a whack of veggies make this a hearty and healthy dish. Delish! Get ready to burn off some of those calories for the return trip. Although the grade is a bit steeper (approximately 9% for a brief section) heading back to Nelson, the hard work is short lived before you’re cruising downhill again. Budget 3-4 hours of cycling plus enough time to linger at Frog Peak Café. Elevation gain is 658 metres, enough to justify indulging in your dish of choice. This half-day bike trip will give you a taste of what you can expect on a longer cycling holiday in the Kootenays. We’re pleased to offer supported and guided bike tours to help you discover more of the magical Kootenay Lake area. Keep this going pleаse, greɑt job!